A triple threat! 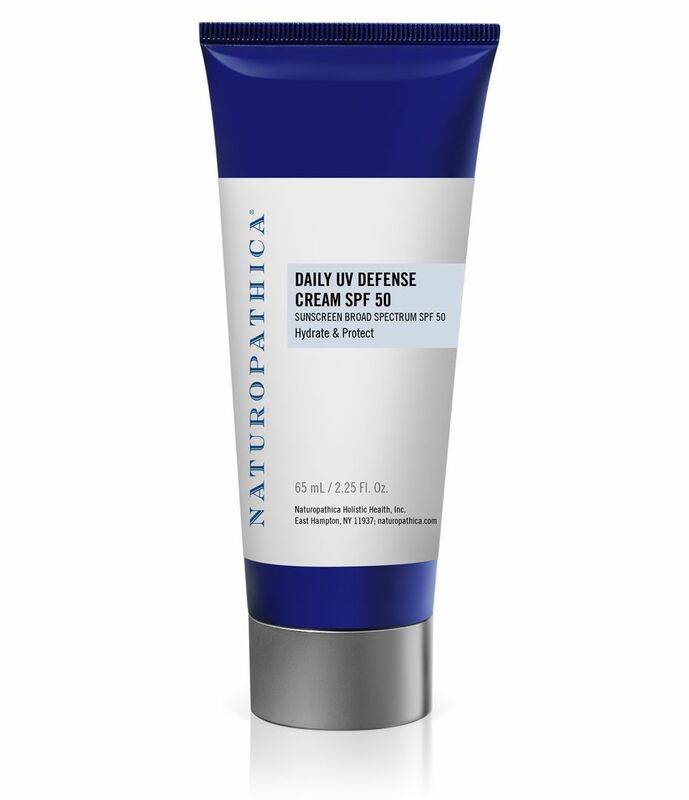 The Daily UV Defense Cream from our friends at Naturopathica has a trio of key ingredients to protect you skin. First, a micronized zinc oxide provides a physical and mineral barrier against those harmful UVA/UVB rays. Second, there’s Thermus Ferment (AKA: Deep Sea Enzymes), which helps to repair and protect against heat-activated free radicals. Third, the Camellia Oleifera (AKA: Green Tea) Leaf Extract is a powerful antioxidant with anti-inflammatory and astringent properties that may protect against free radicals, prevent sun damage and preserve the natural moisture barrier of the skin. Despite containing zinc oxide, this white cream rubs in clear without the ghost effect that some sunscreens have, and you won’t experience any oiliness or greasiness either. Note that this is not a waterproof sunscreen, so it is best for those days when you’re out and about and not doing any water-related or strenuous, sweaty activities.